It happens all the time - you purchase a new house and the previous owner doesn't leave any remotes to the garage door opener. Or you've lost the remote to your Marantec operator but don't have a manual to see what remote is compatible. Or maybe you have a remote but it's so worn you can't even tell what model it is anymore. We've got some answers to help you figure it out. Read our latest post on our Support Manuals site - Helpful Tips and Information section where we go over a couple of easy ways to determine if the latest available Marantec remote will work with your opener or what your options are if your remote has been discontinued. It doesn't matter if you have a 20 year old Marantec Mac-Lift III opener or a two year old Synergy 260 opener the "How To Find The Correct Marantec Garage Door Opener Remote" post should help you find what you need to get your opener back to working with a garage door remote again. Garage Door Zone Winter Bottom Seal Sale! 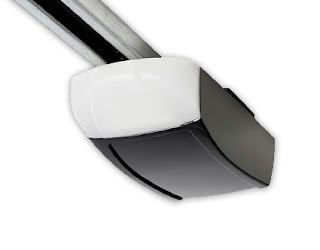 Help keep the rain, snow and dirt out of your garage by replacing the bottom seal on your garage door. The Garage Door Zone is currently having a Winter Seal Sale! Save 15% on all of the bottom seal. If your garage door is a Raynor, Gadco or other brand that uses 1/4"T seal then check out the seals at the Garage Door Zone today & SAVE! They also offer a 5/16"T seal that works a number of different brands of doors. This sale won't last long - Get your new seal today & SAVE! 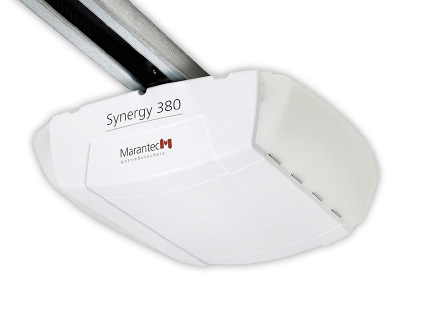 Below are instructions on programming a garage door remote to the Marantec model Synergy 370 and 380 operators. You'll only use the instructions below if you don't have any remotes programmed to the operator. The Marantec operators can only hold the code of one remote. Additional remotes copy the code of the one programmed remote so if you are looking to program additional remotes check out the blog post Programming Marantec Remote Video here. However, what do you do if you don't have an existing remote (perhaps you lost it or you just moved into the home and they didn't leave you a remote). Here's a rundown on how to program a new remote by using the buttons on the powerhead (motor) unit on the ceiling. Program the remote into the opener powerhead by using the "+", "-", and "P" buttons on the powerhead. Here is a rundown on how to program the remote using the buttons on the powerhead unit on the ceiling. You should see 3 red buttons: "+"button / "-"button / "P" button. the display of the DOOR OPEN POSITION on the LED Display illuminates release the button. You are now ready to set or change the desired adjustment. The opener can now learn the code of the hand-held remote transmitter. Press and hold the button on the remote transmitter. sequence, and completes the program process. The ON icon should now be illuminated on the LED DISPLAY and the opener is ready for operation. And that's how you program a remote to the Marantec Synergy 370 and 380 operators. Remember if you need to program additional remotes you can see the video on how to use the programming jumper here. Do you need a new remote for your operator? You can purchase the Digital 382 Marantec remote here (it replaces the old discontinued M3-2312 remote). In the market for a wireless keyless entry? You can find the Marantec M13-631 Keyless Entry here. 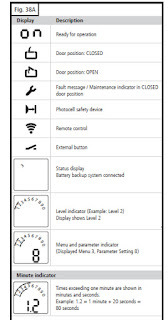 Below are instructions on programming a garage door remote to the Marantec model Synergy 270 operator. You'll only use the instructions below if you don't have any remotes programmed to the operator. The Marantec operators can only hold the code of one remote. Additional remotes copy the code of the one programmed remote so if you are looking to program additional remotes check out the blog post Programming Marantec Remote Video here. However, what do you do if you don't have an existing remote (perhaps you lost it or you just moved into the home and they didn't leave you a remote). Here's a rundown on how to program a new remote by using the buttons on the powerhead (motor) unit on the ceiling. And that's how you program a remote to the Marantec Synergy 270 operator. Remember if you need to program additional remotes you can see the video on how to use the programming jumper here.